Aside from creating a signature Bryant Park NYC line and carrying New York City Parks Department merchandise, in support of the Community Parks Initiative, the Bryant Park Shop has expanded its product line by partnering with other hot brands. We hope you'll love the results of our team efforts. Shop online or in person at our Bryant Park Shop kiosk (F9, on the 42nd Street side of the park). We've expanded our children's clothing line with Teres Kids. 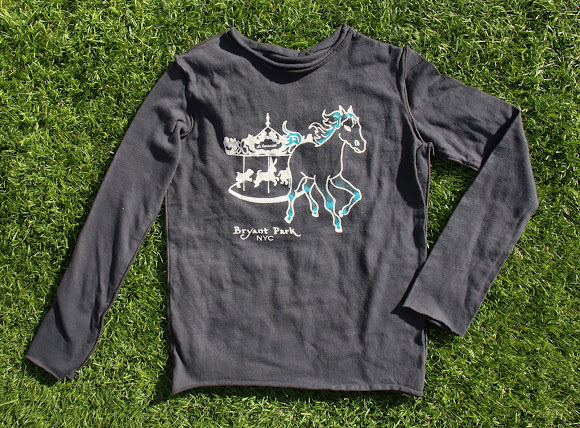 Le Carrousel t-shirts are now available in long-sleeved versions. 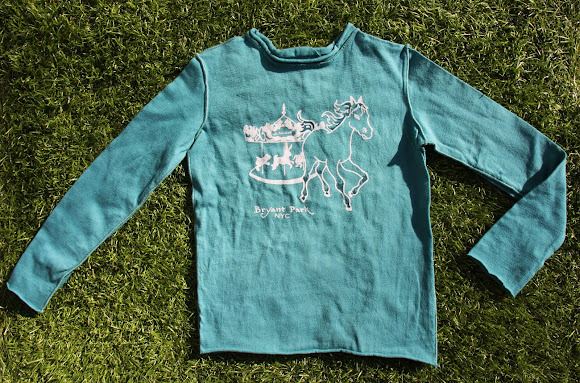 The new shirts are available in charcoal and teal. 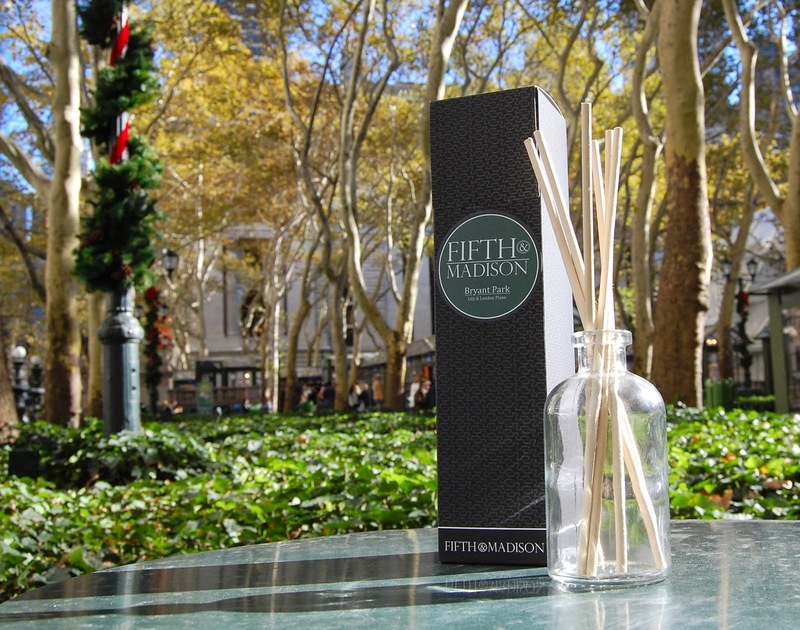 We partnered with Fifth & Madison, to create a signature Bryant Park home fragrance. 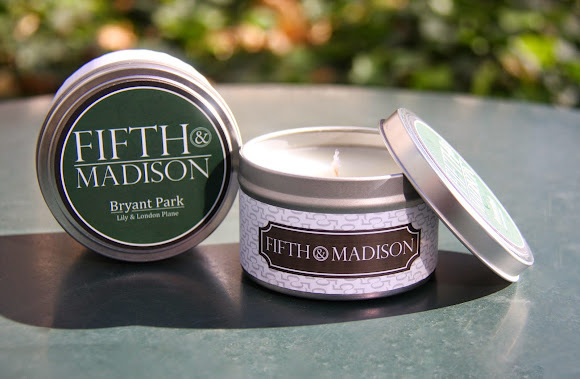 The fragrance is available as a reed diffuser or candle. The Bryant Park Necktie, created in partnership with Vineyard Vines, features a whimsical print of our Bryant Park Bistro Chairs. The Lawn Green Earrings, created in partnership with Brooklyn-based Silverella, mimic the thousands of blades of grass on the lawn.